Charming holiday apartment located on the heights of Grasse near the city and shops. You will appreciate the beautiful view on the park of the residence and a very pleasant terrace to enjoy the meals outside. Rooms offer balconies with views of the surrounding mountains. If you have to spend lazy days on the hot sand, the beaches are 22km away. Discover also Grasse, the perfume capital of the world, with its famous Musée Fragonard and Musée de la Parfumerie. The Notre Dame du Puy cathedral is also worth a visit and beautiful family walks await you in the Gorges du Loup. Continue your way to Cannes to walk in the footsteps of the famous movie stars or stroll in the district of Suquet. The city of Antibes will seduce you just as much with its ramparts, its Port Vauban and Fort Carré. To relax in the sun of the Côte d'Azur, many activities await you: horse riding, hiking, water sports ... you will surely find happiness! 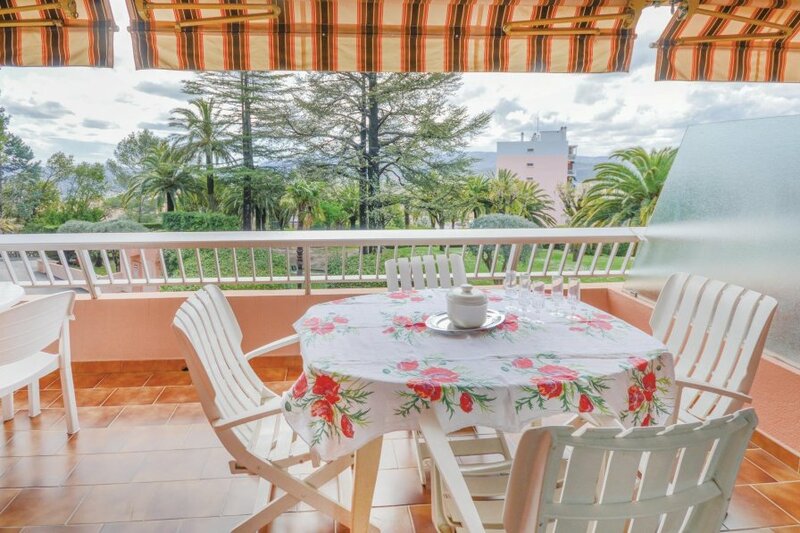 Come and enjoy a holiday in the sun with this charming vacation rental! This solidly constructed apartment was originally built in 1970 and refurbished in 2000. The agent has rated it as a three star property so it is a well-kept apartment, equipped with standard furniture. It is also good value for money. This apartment has mountain view and is located in Saint-Francois (Grasse), only 15km from Cannes. The nearest airport is only 35.5km away. It is set in a good location: there is a restaurant 1km away. You can also park in the garage on-site at no extra charge. The apartment is well equipped: it has a refrigerator, microwave and dishwasher. It also has some garden furniture outside.